KHH-AF-305 - K-Tuned Heater Hose Adapter - Pann Auto Performance - San Diego largest aftermarket automotive performance parts - What do you drive? You might have noticed that the OEM heater hose pipe on some K-series motors is actually bigger than the hose used on the heater core in a K-swapped vehicle. This makes it almost impossible to stretch the smaller hose over the bigger pipe. 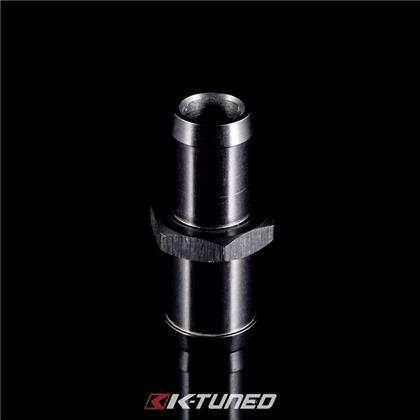 The K-Tuned heater hose adapter solves the problem and allows you to match the pipe to the proper hose size for a clean install. Finished in anodized black.